After making your way past the clubhouse you will notice this par 5 is quite intimidating from the tee. 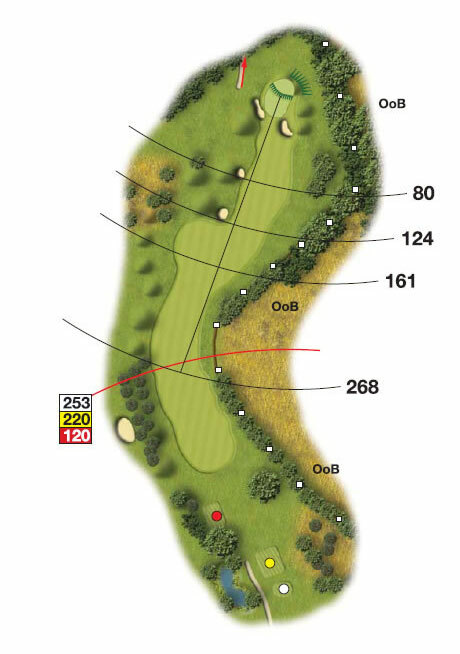 Out of bounds right and a tree plantation left will require accuracy from the tee. This dogleg right has bunkers that also pose a threat for a slightly offline shot. The green slopes from back to front so a positive approach shot should hold the green with ease on landing.